Recently, a friend of mine and I had a conversation on Twitter about shipping. Specifically, that we share a Star Wars ship: Rey and Kylo Ren (please be kind, commenters). We shared a couple jokes and thoughts about The Last Jedi and Reylo, and then went our separate ways. That’s when things got a little out of hand. A number of other people joined our conversation to express their deep displeasure. Some got angry, even a little, well, harass-y. This topic was, apparently, personal for a good amount of people who wanted us to know that our ship made us a bad person. That got me thinking about the way we imagine fan fiction and shipping. Which brings us to Neil Gaiman. 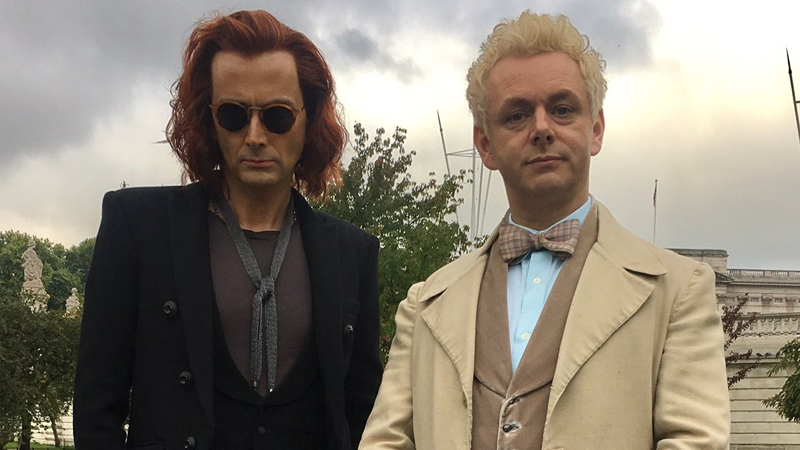 Recently, Gaiman responded to a fan on tumblr asking him about a similar conflict within the Good Omens community about whether or not Crowley, the demon protagonist, is gay. An argument that I’m sure is only getting more intense as Gaiman works on a Good Omens series set to premiere in 2019. Which is the fun of fanfiction, and part of the tradition of fanfiction. As is, I’m afraid, grumbling at people who do not see that your ship is the only true ship, and choose to ship anyone else with anyone else. If anyone decides that The Relationships in Their Fanfiction Are the Only True Fanfiction, it seems to me they are missing the point. The point is Fanfiction exists so that you can imagine, enjoy and fill in the gaps. The point is that you can change things and have fun with them. And the stories are absolutely true… for you. I really enjoy the way he frames fan fiction, and shipping along with it, as a personal creative act. Fan fiction can often be a way of writing one’s self into a story that is important to you. It lets you connect it with your personal experience, your interests, the special parts of your identity. For marginalized identity groups, it can often be a way of literally re-writing a story to be more inclusive of who you are, whether by making a character explicitly gay or transgender or what have you. It’s no surprise, then, that people take it personally when others disagree. It can feel like an invalidation of their identity in a very direct way. But Gaiman’s framing here, I think, is the right one: that fan works are a means of making something new, and personal, and special using an established work as raw material. It’s true—to you. And that means other people’s work is true for them as well. And that’s really neat and exciting and a liberating way to think about fan work and fiction in general. Make fun fanfiction. Enjoy yourself. Make things up. Share them. That’s the point.